Henan Geite Heavy Industry Technology Co., Ltd. is a professional production and processing company for organic fertilizer equipment, compound fertilizer equipment, fertilizer crusher, fertilizer granulator, fertilizer sieving machine, fertilizer mixer, BB fertilizer equipment, BB fertilizer mixer, fertilizer dryer, automatic packaging machine for fertilizer, etc. has a complete and scientific quality management system. Organic fertilizer production line, organic fertilizer equipment, fertilizer semi-wet material pulverizer, fertilizer chain pulverizer, fertilizer double-stage pulverizer, vertical pulverizer for fertilizer, hammer pulverizer for fertilizer, fertilizer polishing machine, fertilizer granule packing scale, fertilizer rotary drying machine, fertilizer compost Turning machine, fertilizer disc granulator, drum fertilizer granulator, organic fertilizer production granulator equipment, Double Roller Fertilizer Granulator, new organic fertilizer granulator, fertilizer flat film extrusion granulator, Fertilizer Vertical mixer, horizontal fertilizer mixer, BB fertilizer mixer. The Rotary Drum Granulator fertilizer is a molding machine that can manufacture materials into specific shapes. 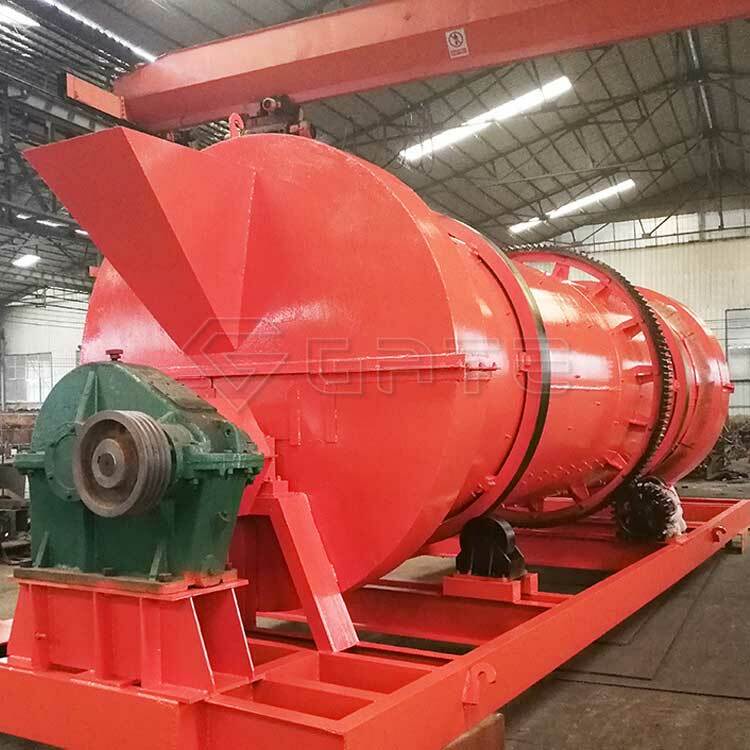 rotary drum fertilizer granulator is the key equipment in the compound fertilizer industry, suitable for large-scale production of cold and hot granulation and high, medium and low concentration compound fertilizer. The main working mode is wet granulation. 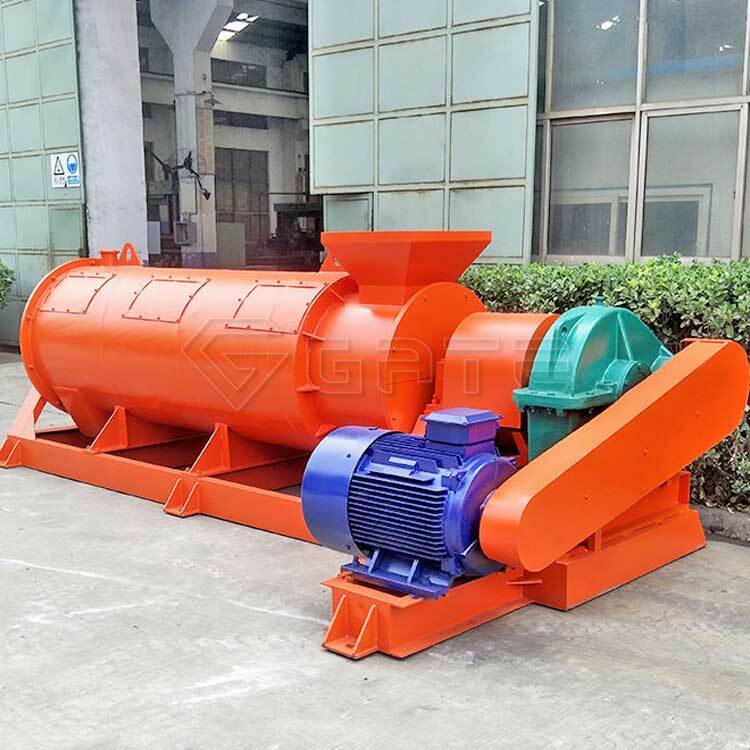 After a certain amount of water or steam, the basic fertilizer is fully chemically reacted in the cylinder, and under certain liquid conditions, the rotation of the cylinder for npk fertilizer machine granulator is used to make the material particles Produces a crushing force to agglomerate into a ball. The npk fertilizer granulator machine utilizes the mechanical stirring force of high-speed rotation and the aerodynamic force generated thereby to continuously mix, granulate, spheroidize and compact the fine powdery material in the machine to achieve granulation purpose. The granulation method for Compound Fertilizer granualtor Making Machine makes the granules of the granules have a higher sphericity, the granules are more beautiful, and energy is saved. The organic fertilizer granulator making machine utilizes the mechanical agitation force of high-speed rotation and the aerodynamic force generated thereby to continuously mix, granulate, spheroidize and compact the fine powder material in the machine, thereby achieving the purpose of organic fertilizer granulation. The shape of the particles is spherical, the sphericity is ≥0.7, the particle size for bio fertilizer granulator machinery is generally between 0.3-3 mm, and the granulation rate is ≥90%. The particle diameter for bio fertilizer granulator making machine can be appropriately adjusted by the material mixing amount and the spindle rotation speed. Generally, the lower the mixing amount, the rotation speed. The higher the particle size, and vice versa. Scope of application: This bio organic fertilizer granulator machine is especially suitable for granulation of light fine powder materials. The finer the basic particles of the fine powder material, the higher the sphericity of the particles of organic fertilizer ball granulator , and the better the quality of the ball. Typical application materials: chicken manure, pig manure, cow dung, carbon black, clay, kaolin and so on. organic fertilizer ball granulator machine Granulation of livestock and poultry manure, composting fertilizers, green manure, sea manure, cake fertilizer, grass charcoal, soil fertilizer, three wastes, microbes, municipal solid waste, and organic fermented fertilizers. This cow dung fertilizer granualtor making machine is especially suitable for granulation of lightweight fine powder materials. The finer the basic particles of the fine powder material, the higher the sphericity of the particles, and the better the quality of the ball. Typical application materials: chicken manure, pig manure, cow dung, charcoal, clay, kaolin, etc., organic manure raw materials, livestock manure, manure and urine, heap fertilizer, green manure, sea manure, cake fertilizer, peat, Soil-mixed fertilizer, three wastes, microbial and other urban domestic waste organic fermenting fertilizer granulation has speciality, adapt to a variety of different formulations, wet method stir granulator is suitable for direct granulation after organic fertilizer fermentation, saving drying process, greatly reducing manufacturing cost.
. The organic fertilizer granulator is a molding machine,compost fertilizer granulator machine that can manufacture materials into specific shapes. The combination of the two granulation methods results in a higher sphericity of the pellets, a more aesthetically pleasing granule, and energy savings. 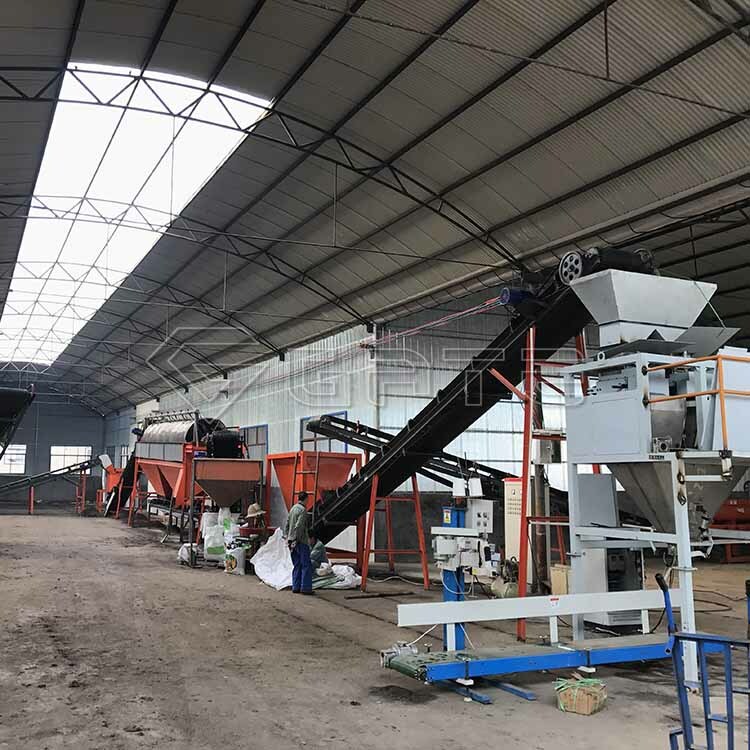 This compost fertilizer making granulator machine is one of the key equipments in the compound fertilizer industry,npk compound fertilizer production line. It is suitable for large-scale production of cold and hot granulation and high, medium and low concentration compound fertilizer. The working principle of the series of organic fertilizer granulator making machine is that the main motor drives the belt and the pulley, and the drive shaft is driven by the reducer to the drive shaft through the split gear mounted on the drive shaft and the large gear ring fixed on the body of organic fertilizer granule making machine. The material is added from the feed end through the inside of the cylinder. Through the special structure inside the cylinder, it is made into granules and flows out through the discharge port. Due to the continuous entry of materials and the continuous rotation of the organic granulator fertilizer making machine, mass production can be achieved. The main working mode for organic fertilizer pellet granulator making machine is wet granulation. After a certain amount of water or steam, the basic fertilizer is fully chemically reacted in the cylinder, and under certain liquid conditions, the rotation of the cylinder of Compound Fertilizer granualtor Making Machine is used to make the material particles Produces a crushing force to agglomerate into a ball. The compound fertilizer granulator machine utilizes the mechanical stirring force of high-speed rotation and the aerodynamic force generated thereby to continuously mix, granulate, spheroidize and compact the fine powdery material in the machine to achieve granulation. purpose. The granulation method makes the granules of the granules have a higher sphericity, the granules are more beautiful, and energy is saved. The new type of rotary drum fertilizer granulator making machine is also known as the fertilizer granulator equipment. The outer shell of the urea fertilizer granulator machine is made of thickened seamless steel pipe, which is durable and never deformed. Coupled with a solid base design, it makes it run more smoothly. It is used to granulate various organic substances after fermentation, and breaks through the conventional organic granulation process. It is not necessary to dry and pulverize the raw materials before granulation, and the spherical granules can be processed by direct compounding, which can save a lot of energy. The urea fertilizer making granulator machine produced by our factory have Φ600, Φ800, Φ1000, Φ1200, Φ1500 and other models, and can also be customized according to customer needs.